“What would you call folks that enjoy insane energy, require less sleep, obtain increased mental clarity, have boosted digestion, are able to fight chronic diseases and can eat as much as they want and still lose weight? As an individual who has suffered for years from the likes of such potentially debilitating illnesses as Fibromyalgia, Digestive Issues, Asthma and Arthritis, Julie Mahdi has discovered the curing capabilities of maintaining a diet of raw foods. It is now her passion—as The Raw Food Mentor—to share this burgeoning lifestyle choice with other individuals who are searching for the dietary means to lead a healthier lifestyle and eradicate so many hazardous health problems. 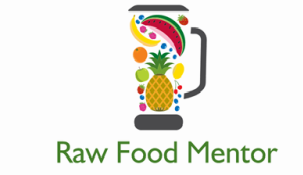 Mahdi’s group classes, private classes and personal client coaching will show you how easy it is to incorporate raw foods into your diet and begin a new road to vigorous health. Raw Food Julie will be your mentor through your journey.